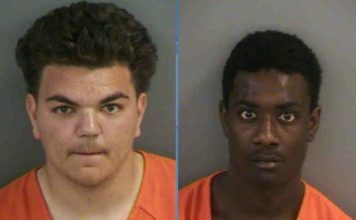 Two men are wanted in connection with armed robberies early Wednesday morning at two Lee County convenience stores, Southwest Florida Crime Stoppers said. The first armed robbery happened around 1:15 a.m. at the RaceTrac on 16900 N. Cleveland Ave. in North Fort Myers, according to Crime Stoppers. Two men with firearms entered the store and ordered a clerk to give them cash from the registers. 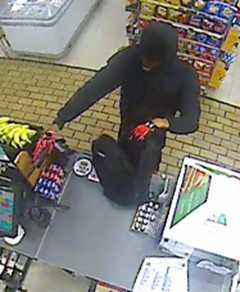 The clerk complied, and additional lottery tickets were taken before the men left the store. 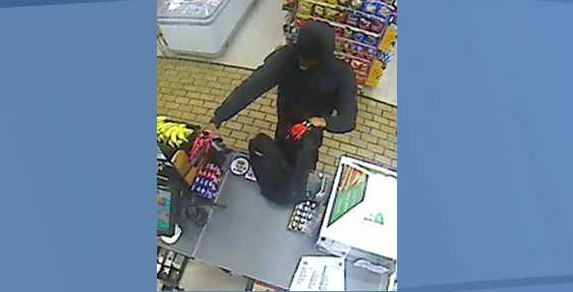 The second armed robbery happened around 2:37 a.m. at the 7-Eleven on 530 Joel Boulevard in Lehigh Acres, Crime Stoppers said. One of the suspects allegedly entered the store, pointed a gun at the clerk and demanded the employee give him all the cash in the register. 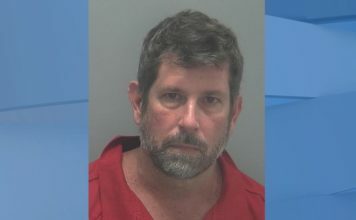 The clerk witnessed the suspect leave the store with an undisclosed amount of money, before getting into a white two-door vehicle waiting outside. 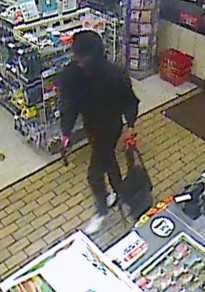 The robberies are believed to be related, and these men are considered to be armed and dangerous, Crime Stoppers said. The suspects are described as being approximately 6’0″ with gold teeth, wearing black clothing and masks, according to Crime Stoppers. One of the suspects had black and red gloves. Anyone with information should call Crime Stoppers at 1-800-780-TIPS to submit an anonymous tip. All callers are eligible for a cash reward of up to $1,000. Tips can also be submitted online or through the P3Tips mobile app.